This one is related to the plot and story of the film, but focuses more on the characters themselves. We relate more to the characters in stories than the events that occur, and ultimately that is why we tell stories in the first place. We see how characters interact with events so that we can learn from them. There aren't many stories without some person or personified object/animal at the center, so take note of them. Who is the main character, or hero, of the story? Why is it that person? Is it just because the story focuses on them? Or is there something different about them? This is important to discern, because most likely you will really relate with or track with the hero. The story is going to focus on this hero's particular journey, so dig in and figure out what the story is telling us about the hero. Which characters closely surround this hero? Who is on his or her side? Who are against the hero? What do these characters bring out of the hero? Do they help or hinder the transformation of the hero? Could the hero survive without them? 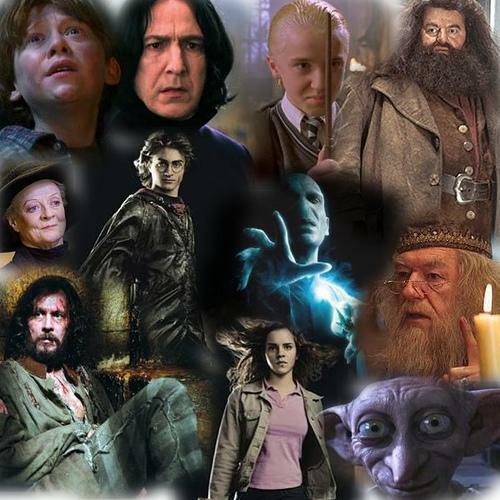 These characters are also important because they give us different perspectives of who the hero truly is. They bring out the best and worst in the hero, so not the effects they have. See what questions they ask and what skills they bring. Who guides the hero, especially at the beginning of the journey? What does this person teach the hero? Are they correct? Do they offer gifts and knowledge crucial to the hero's survival? When do they leave? The mentor plays a pivotal role in making the hero who they are, especially in their formation at the beginning of the story. Each mentor is different, so note what they bring. Obviously there are going to be more characters than this, so see how they all fit in as well. Who is the comic relief? Does anybody switch sides? Is it an ensemble cast with multiple heroes? Are any of these "standard" characters missing? And if so what does that change? These are just some thoughts and questions to get you started. It will take a little more thought than you might normally give to the movie, but really engage with the characters and figure out why they are in the story. Usually they are there for a reason, so figuring out their role in the story will open the doors to better discussion. Use either the movie you used for plot or a different film, and dig deeper into who the characters are and their role in the film. Jot down which film and the characters you looked at in the comments.